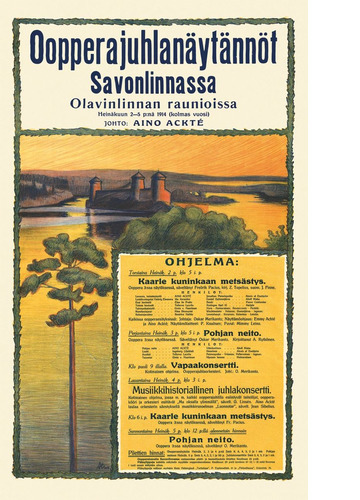 The birth of the Savonlinna Opera Festival ties in closely with the emerging Finnish identity and Finland’s striving for independence at the beginning of the 20th century. Attending a political meeting in Olavinlinna Castle in 1907 (the year in which Finland democratically elected its first Parliament by universal suffrage), the Finnish soprano Aino Ackté, already famous at opera houses the world over and an ardent patriot, immediately spotted the potential of the medieval castle built in 1475 as the venue for an opera festival. 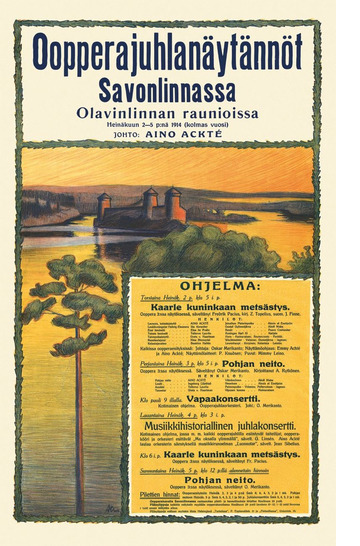 The romantic castle set amid lake scenery of ‘supernatural beauty’ could not, in her opinion, fail to impress all who beheld it and was thus the perfect stage for the Finnish music just bursting into flower. The first Opera Festival was held in summer 1912. Aino Ackté did as she had promised and turned the castle into a stronghold of operatic art. 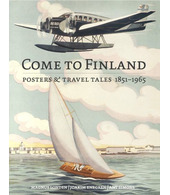 Five operas were performed in the castle over five summers – virtually all the ones so far composed in Finland.